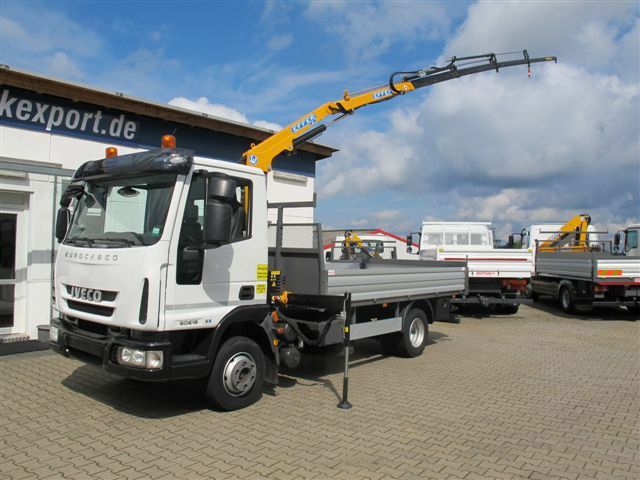 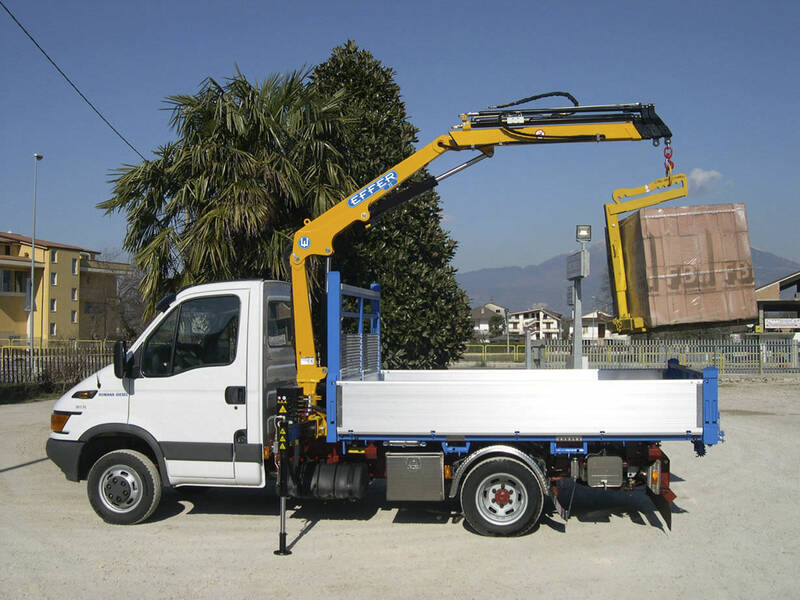 Effer 35 is the crane with the lengthiest outreach in its class making it possible to have a proper coverage of the job site without replacing the lorry. 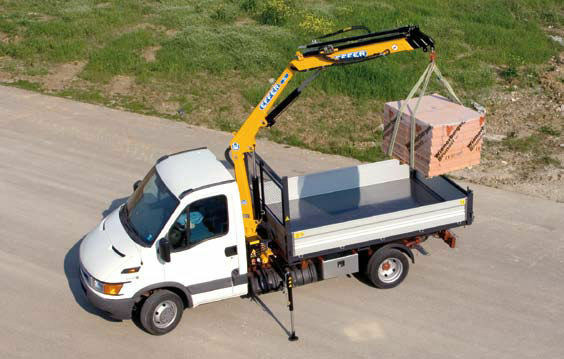 The grasping angle of the primary boom of 83° enables to utilize the complete length of the boom. 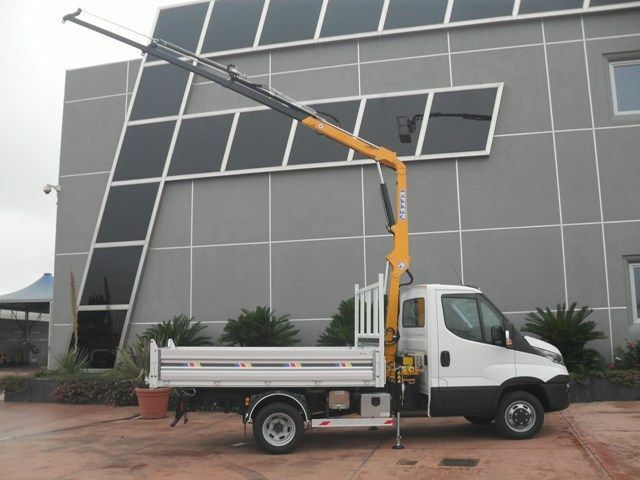 The precise structure of boom profile and the use of greater tensile power steel helps the crane in accomplishing excellent power/weight value. 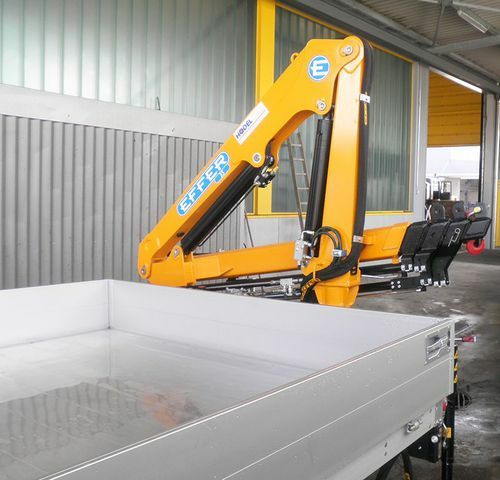 The setup on 3,5 ton trucks ensures a considerable waste capacity with the tipper housing.